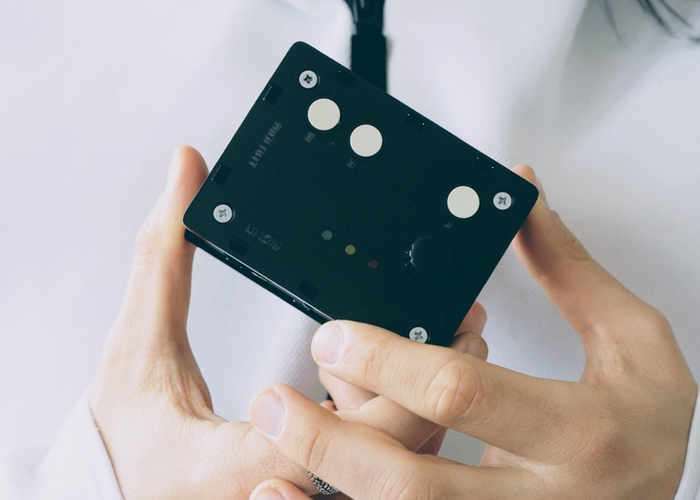 Musicians searching for a pocket-sized MIDI controller that is capable of providing a wealth of features and functionality may be worth giving the new Goliath more investigation. Goliath has been designed to provide 16 hands in one small pocket device and allows you to take control of multiple parameters at once with just one encoder. Watch the demonstration video below to learn more about this new MIDI controller which has taken to Kickstarter this week to raise the funds it requires to go into production. The Goliath is a standard MIDI controller. It lets you take control of multiple parameters at once with just one encoder! With the Goliath you can create complex changes to your sound while playing and record complex automation to your DAW by controlling multiple plugin parameters at once. Because it’s battery powered, the Goliath is perfect for live performances. The Goliath is a great companion to a synthesizer, modular rig, drum machine or anything with a MIDI input. The first batch of 100 units will be ready for shipping in early May. PCB production and component assembly is being completed in Budapest, Hungary. Our commitment to building quality devices made it an easy choice to manufacture in the EU. Enclosure, programming and testing is done in Berlin, Germany. For more information on the new Goliath MIDI controller jump over to the Kickstarter website for details by following the link below.